The FREEDOM SHARE Card, which is an addtional type of FREEDOM Card for cu stomers who wish to use it at SEPTA Key Card readers, is now available. 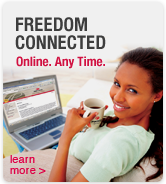 The FREEDOM SHARE Card is an account-based system where transaction information is stored on a central computer, rather than on the actual physical card like current FREEDOM Cards. An account-based card is required for integration with SEPTA’s account-based fare collection platform. Sales of SEPTA tickets from PATCO vending machines ended on Sunday, September 30, 2018. A FREEDOM SHARE Card or SEPTA Key Card will be required to transfer to SEPTA from PATCO. The cost of each SEPTA trip will be $2. The FREEDOM Share Card will be accepted on all SEPTA modes of transport, except Regional Rail.